Ensure the computer is compatible with Kinect. The Kinect sensor only works on PC with Window 10 or Windows 8. Update virus protection. 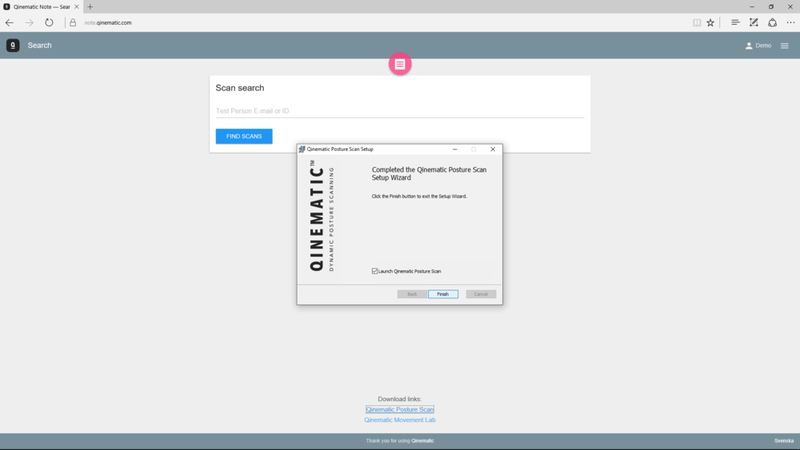 If it blocks the Qinematic software installation, it may need to be disabled temporarily. Run the Kinect Configuration Verifier tool to check if the PC and its software are suitable for using the Kinect sensor. Ensure the Kinect Sensor is connected to the USB 3 port (Blue) on the computer. The Kinect sensor does not work using an older USB 2 port. Before connecting the sensor and the computer, download and install the free Kinect SDK software. To avoid confusion about login details (Qinematic login is not the same as creating a Microsoft login), clicking ‘Do not register your Microsoft account.’ is recommended when downloading the Kinect SDK. 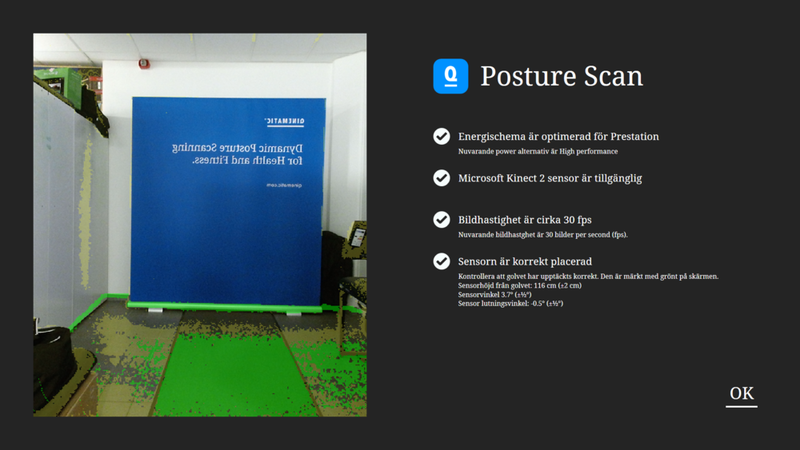 Login into Note and click on the download ' Posture Scan' link at the bottom of the Main page. A window will appear. 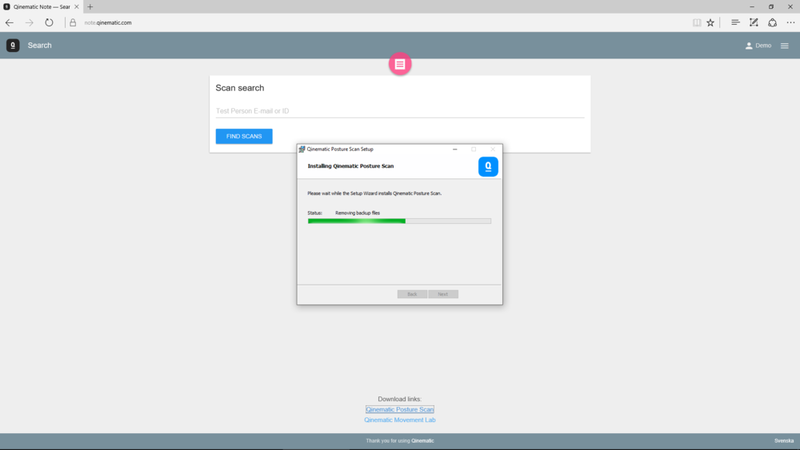 Click ‘Save’ to begin downloading and save to default location (recommended) on the computer. Once the download is complete, click ‘Run’. Read the End User License Agreement carefully, and tick the box to accept the License Agreement. Then click ‘Install’ to install the software on the computer. Click 'Finish' to complete the installation process. Ticking the box will launch the program, once finished. Once directed to the Authorised Login page, login using an email as Username in the top field, and Password in the bottom field. Scanners and Analysts with authorised access to more than one scan library must choose a library for storage of scans. Do not send scans to the wrong library. Before scanning starts, the scan area and the sensor should be checked for quality in the Calibration screen. 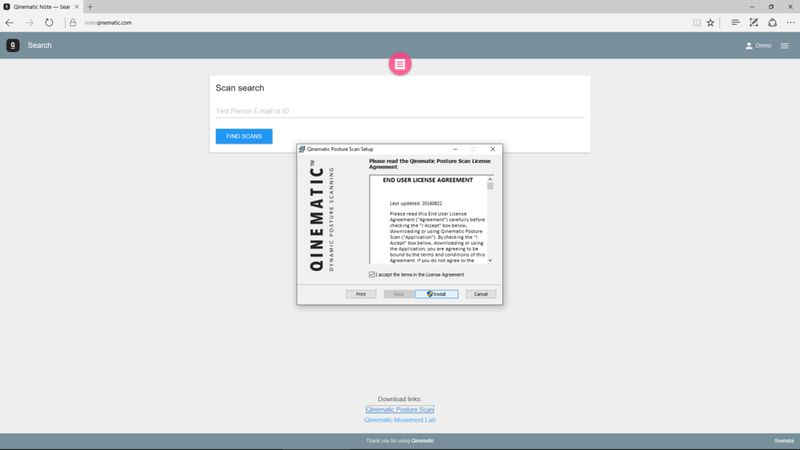 Download the Movement Lab to use all Qinematic services. If not proceed to scan a person. 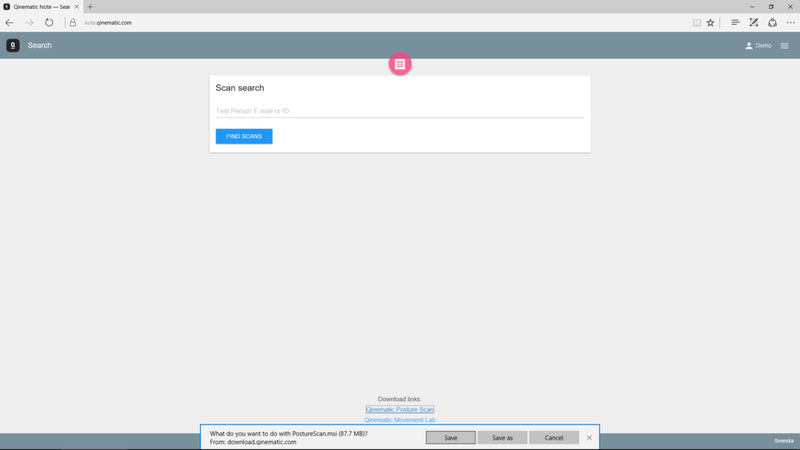 Press ESC on the keyboard to see a drop-down menu at the top of the screen. The menu bar shows notifications about software updates, and allows for Settings to be changed locally.